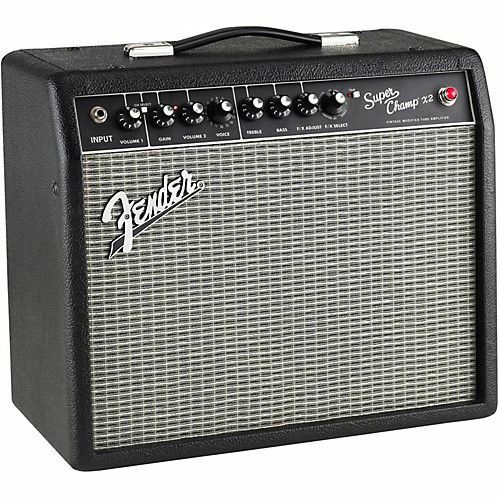 Your rehearsal and recording sessions will really come alive with the unlimited tones that can be created with the Super Champ X2 combo, which takes one of Fender’s most time-honored amps and ushers it into the present with updated style and modern modifications. Rocking 15 watts of dual-channel tube amp sound and a 10” speaker, the Super Champ X2 also delivers versatile amp voicing and a wide selection of digital effects. It’s simple, toneful and flexible, with easy USB digital connectivity and Fender® FUSE™ software (available as a free download) for editing, preset storage, patch swapping and free artist content.